Tel-Aviv, the capital of Israeli hi-tech, and the ultimate vacation and recreation spot in Israel. Tel Aviv has a bit of everything – history, beaches, sun and even an UNESCO heritage site. 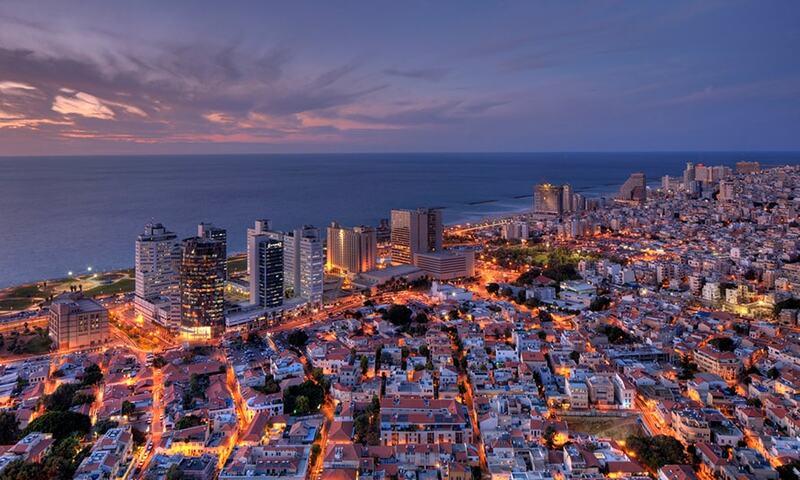 Thanks to its international status as the “First Hebrew City”, Tel Aviv is home to many hotels, suitable for a wide range of guests and tourists. So how do you choose from the selection of Tel Aviv hotels ? Eric Weiss, a famous hospitality consultant lists a few points that transform a hotel from a regular hotel to a desirable luxury hotel. In a luxury hotel, the hotel or guest manager will always be on premises. He will always be accessible and available , sparing the need to chase him around. The hotel staff will be caring, professional and humane, and will gladly go out of their way to ensure your happiness and advise you on matters relating to your vacation. According to Weiss, a team that makes the guest feel in charge, but is assertive while doing so is a winning team. When arriving at the hotel, you won’t be faced by a long check-in line, and you won’t be required to wait endlessly for checkout. The lines at luxury hotels are short, quick and efficient, and will allow you to maximize your vacation time with ease and comfort. Lets talk about looks – looks matter. A luxurious hotel will be designed to the t, ensuring maximizing comfort and functionality, while implementing art and antiques for a magical and romantic vibe. Room service and cleanliness are the most criticized services at many hotels. Luxury hotels will ensure a quick and discreet room service, and will tidy and clean every day, without compromising your privacy. Tel Aviv has several luxury hotels from international hotel chains, but if you ask the frequent visitors, they will point you to a less known yet highly elegant option. The Norman hotel is one of the best Tel Aviv hotels – a luxury boutique hotel located at the heart of the White City UNESCO site, with a unique architecture and vibe. The hotel is located at the city’s center, and within walking distance from all the main attractions. At The Norman you will be greeted by the hotel manager, and the staff will be at your service from the moment you enter and until you leave. The hotel is carefully designed with furniture and masterpieces handpicked by architects and world-renowned designers, and aims to provide a relaxing and romantic atmosphere. Part of the luxury services The Norman provides include the concierge service, assistance in planning excursions, elaborate conference rooms and more. In addition, you will find luxury restaurants on premises, as well as the favorable Library Bar which attracts both locales and guests alike. At The Norman Tel Aviv hotel you will enjoy a full package of luxury, pampering, gastronomy and culture. To preserve sweet memories from your trip, you may purchase one of the exquisite souvenirs at the hotel’s gift shop.